Keep one and gift the other. We can center hearts, or place them near the city of your choice. So adorable! Received quickly and looked really good. A very neat and cute little token of affection especially for loved ones serving or studying away from home ;). Beautiful, and she even accommodated the city requests which makes it more special. The key chain came out really cute ! 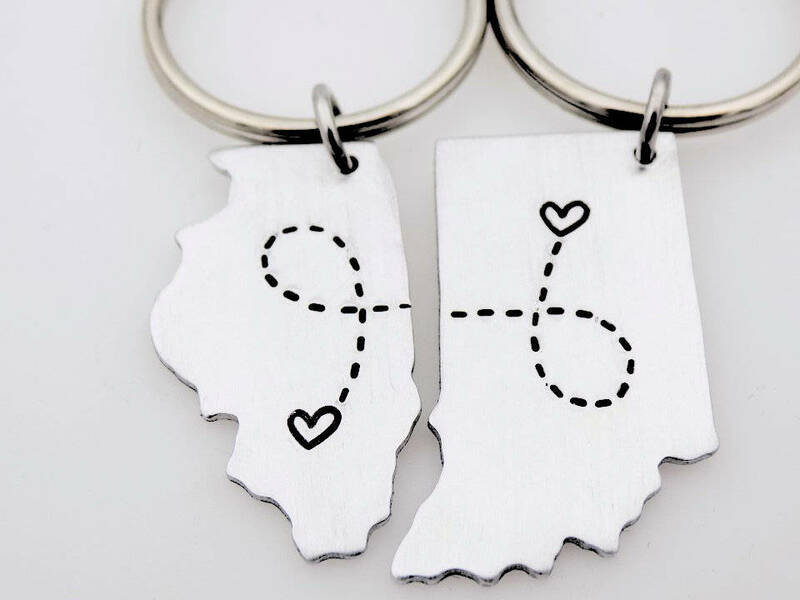 I was expecting the states to be a bit larger and also didn’t expect it to be so light weight but over all it makes a cute gift.